New videos of the killing of a Jammu Sikh youth named Jasjit Singh surfaced on social networks showing how the incident took place. The police appeared to have opened fired at the protesters causing them all to run the opposite direction. During the firing 4 persons were shot causing 1 too die instantly as the shot was to the head. The heartbreaking video shows the moment of shooting and how bullets were continuously fired. The event led to protests in Jammu and eventually the administrators met the demand of the Sikhs. The situation escalated in Jammu this morning after police resorted to firing to hold back Sikh protesters. As a result, 1 Sikh youngster was killed named Bhai Jagjeet Singh s/o Sardar Narvair Singh in open fire by the police. 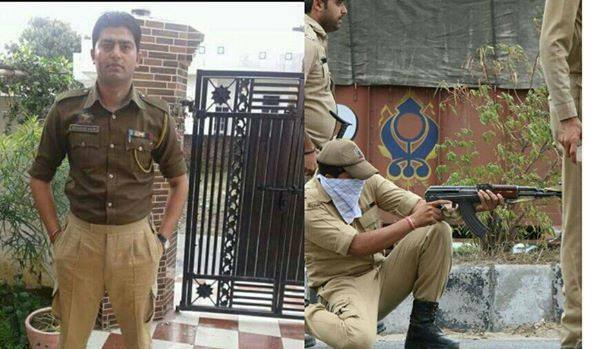 Sikhs were assured SHO Kulvir Chaudary was to be suspended. A Shaheedi Samagam is held annually on June 6 but SSP Uttam Chand told the Sikhs they didn’t have permission to gather.